Lucketts Travel Group has created a new role at its head office to reinforce its commitment to customer satisfaction. Jess Bowen has joined the team at its Fareham headquarters as its service delivery manager. She hopes to use the experience she has built up at Knowhow, which provides after sales support and services to Curry’s PC World customers, to serve Lucketts’ clients.During her 11 years there Jess worked her way up from an admin support role to site manager, based mainly at the firm’s Southampton depot. However, she was also asked to develop a new team at the company’s Bristol depot and, latterly, open a Home Delivery Centre in Basingstoke. 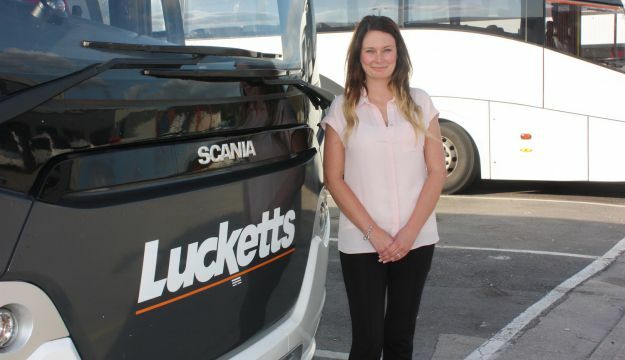 Jess joined the Lucketts Travel Group team in September, and her job is one of two recently created within the group, following the creation of the general manager role at Worthing Coaches, which has been filled by Ian Miller. Lucketts Travel Group’s joint managing director, Ian Luckett, said: “Creating these two positions is part of our forward-thinking strategy for the business, and we are delighted to welcome Jess and Ian to the firm.